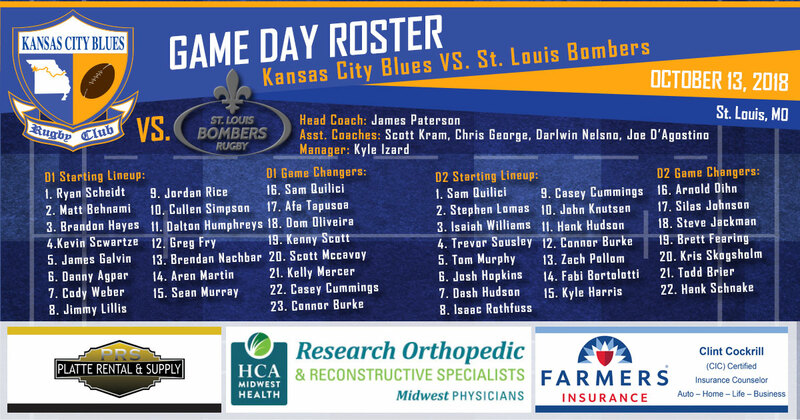 The Blues travelled to St. Louis to avenge their D1 season opening loss to the Bombers. This regional rivalry goes all the way back to the 1960’s. Back in the 1990’s these two squads faced off regularly in the Super League. 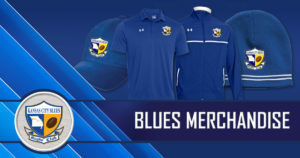 The Bombers stepped back into D2 for several years but over the past few years they have built the program into a D2 power and this year they re-joined the D1 Midwest Premiership League and started off the season 3-1 with some very impressive wins. With Head Coach James Paterson out of the country, Assistants Scott Kram and Chris George took the reigns for the weekend and led the D1 & D2 sides against the Bombers. Building on a renewed emphasis on defense the team put in a great defensive performance, not allowing a try until the 76th minute. Tries were scored by K-State product, Greg Fry and Pitt. State football crossover, Aren Martin (see the aftermath of his try in the first Instagram highlight here) who both had outstanding games. For the majority of the second half the Blues led 17-3. 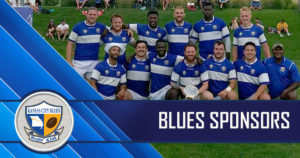 Ultimately the Bombers were able to get over the try line in the 76th minute but the Blues closed things out and won 17-10 to move to 2-3 on the season. 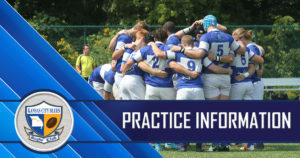 Following the D1 match the Blues D2 took on the Bombers D2 side and came out victorious by a score of 33-29 to move to 3-2 on the season. The match saw Connor Burke, Isaac Eli Rothfuss & Brett Fearing put in stellar performances. 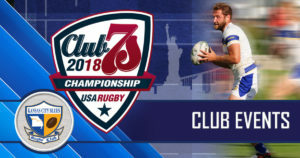 Rothfuss made numerous key tackles and was a pest in the breakdown all day and Burke had one of the best tries we’ll see all season with a beautiful chip and chase on a breakaway run to close out a 60 meter try. Brett contributed on 2 tries and dotted down the try seen in the 2nd Instagram highlight here. 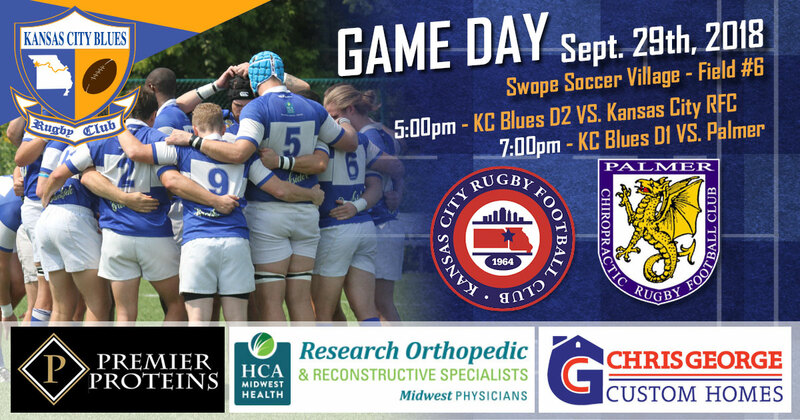 This weekend the Blues D1 is off and the D2 side will travel to Wichita to take on the D2 newcomer who has burst onto the scene this Fall with some very impressive wins. This match will kick off at 2pm in Wichita this Saturday.